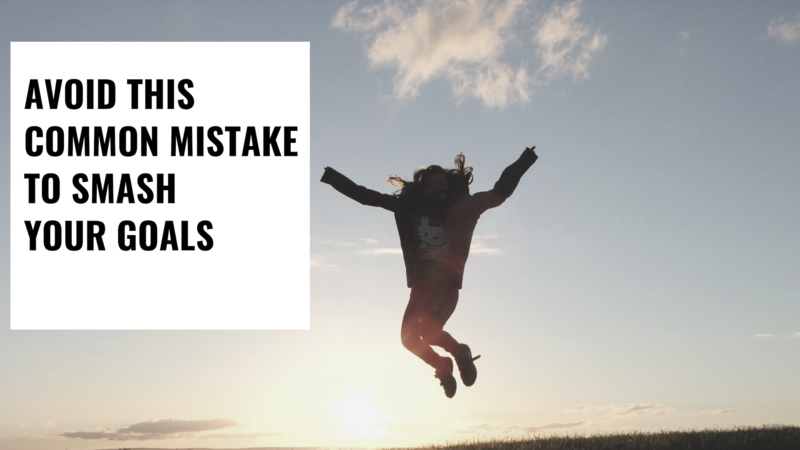 In this post I’m going to share what I think is a key reason why many persons do not achieve their goals. You may think that persons miss their targets due to lack of discipline, lack of willpower, lack of focus, lack of dedication and other behavioral, mental or attitudinal shortcomings, and indeed those things do play a role in whether an individual achieves what they set out to achieve. However, in this post I am inviting you to look at the idea of goal setting from a different angle. The angle of goal setting itself as opposed to the approach to achieving the goals once articulated. I think that one of the main reasons that many persons do not achieve their goals is simply this: we have too many goals. If you are already in line with this concept and you understand the principle that I’m getting at then I may not need to say much more to convince you. But if at first glance what I just said seems odd and counterintuitive to you, let me expound. Think back on some of the goals that you’ve had in the last few months, the last few years, or even your entire life. Now what percentage of those goals would you say you have achieved? When I did this activity with myself I realized that way more often than I wanted to, I achieved way less than I set out to achieve. The old way of thinking, and something I bought into would have led me to believe that I was a failure for not achieving my goals rather than looking at what goals I wanted to achieve and being more sensible in terms of the goals that I set for myself. Popular wisdom says that it takes 21 days to create a new habit. Further to that, the 90-day cycle is one that is commonly used to ensure that a behaviour becomes reinforced. I also read, and it made sense to me, that you should try to achieve ONE major goal at a time, turn it into an automatic pattern, and then attempt another goal, instead of trying to achieve multiple goals at once. Trying to change several habits at the same time decreases the chance that you will succeed at changing any of them. Writing your goal is the first step to manifesting it. Realistically speaking you only have four MAJOR goals that you can achieve in the next twelve months because it will take you 3 months to become consistent at the patterns that will help you achieve each of the goals if they are major life changes. So with this in mind, what are the four (or less) major goals that you want to achieve in the next 12 months? Do you want to get your fitness to a particular level? Do you want to increase your income by a certain amount? Do you want to start a new business? These are 3 major things that you can probably do in a 12-month period, but I would not advise setting 10 goals of equivalent intensity over the same period. I hope that what I have shared here about goal setting has been beneficial to you. If it has, please leave a comment and let me know. Want more practical tips that you can use to be your best ? Sign up for my newsletter and get the Life Changing Magic sent straight to your inbox so you can optimize your life.